We believe in a decentralized economy and cryptocurrency community. We are now starting a bounty campaign, so participants can help us tell about PARKGENE to the community, and get free Tokens as a bounty reward. There will be 1,000,000,000 GENE Tokens issued in total. As a bounty reward we will distribute 50,000,000 GENE Tokens ($5 million of worth), which equals to 5% from all GENE Tokens issued. 1. 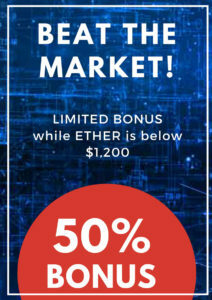 Referral Bounty program where you receive free bonus tokens equal to 5% of the total token buys made by your referred customers. The Hardcap of the Referral Bounty program is 20,750,00 GENE Tokens. Any unallocated tokens will be transferred to the PARKGENE Charity Fund after the end of the Token Sale. You can participate in the Referral Bounty Program by joinning in our Token Sale platform. 2. Campaign Bounty program where you receive Free GENE Tokens based on several actions you do, to spread the information about PARKGENE project acreoss different channels. To earn and receive GENE Tokens, at first you should create an account at the PARKGENE Token Sale site. It is important for you to have access to that PARKGENE Token Sale account, as we will send bounty rewards directly to this account. To participate in the Referral Bounty program you only have to use the personalized referral link in your posts, mail messages or chats to invite people to buy GENE Tokens. To participate in the Campaign Bounty Program you need to spread information about PARKGENE Token Sale in crypto-community as wide as possible by following the simple instructions in this post. Posting articles in popular media. At the end of TOKEN SALE we will distribute 50,000,000 GENE Tokens proportionally to your bounty stakes in each category. Subscribe now and win $1,000 Everyday! Connect Twitter and PARKGENE in your account page (‘connect with Twitter’ button). Total amount of GENE Tokens distributed for this category is 4,875,000 GENE. You have to retweet news marked with #PARKGENE hashtag from our official account within 5 days after their publication and not later, and do not delete them until the Token Sale ends. NOTE: We count ONLY the posts that are marked with #PARKGENE hashtag by our team. So, if you add our hashtag to any posts, it is not counted. As you have connected your Facebook, we count each of your reposts automatically. Just repost our posts with the #PARKGENE hashtag. Shares to public pages and open groups in Facebook are also accepted. All reposts must be public. The account must be at least 4 months old. The number of your friends & followers is being fixed at the moment when you connect your account and doesn’t change during the campaign. We are happy to invite you to PARKGENE Bitcointalk signature campaign. Just upload the signature and avatar provided by us and write at least 15 constructive posts a week. Total amount of GENE Tokens distributed for this category is 9,750,000 GENE. To enroll for the Bitcointalk Signature Campaign you just need to let us know your Bitcointalk Id in the Bounty Area. Apply through this form to book your language ANN translation and thread moderation. You will receive 40 stakes for an ANN translation, 20 stakes for our “big post” translation and 5 stakes per page in your thread. Total amount of GENE Tokens distributed in this category is 3,250,000 GENE. This option is for private users. Total amount of GENE Tokens distributed in this category is 1,625,000 GENE. Write a post about PARKGENE in any language, with at least 1000 characters and containing 2 links to https://parkgene.io. We will class each article as standard (10 stakes), nice (25 stakes) or extraordinary (90 stakes). It can be your blog or your social net personal page, for example Facebook or LinkedIn page. The article should be available to the Internet. To class your article, we will check the popularity of your blog and the quality of the content. This option is for big media and trendsetters. Total amount of GENE Tokens distributed for this category is 3,250,000 GENE. You can help us create an article or video blog on a popular media website or outlet. For example, you can write an article about PARKGENE in Forbes, Coindesk, Bitcoinist, or in any other media relevant to finances and cryptocurrency. We will class each article as standard (10 stakes), nice (25 stakes) or extraordinary (90 stakes) depending on the media outlet and it’s reach. Please make sure, that you are ready to make an article and you are able to publish it in some popular media, then apply through the form below.